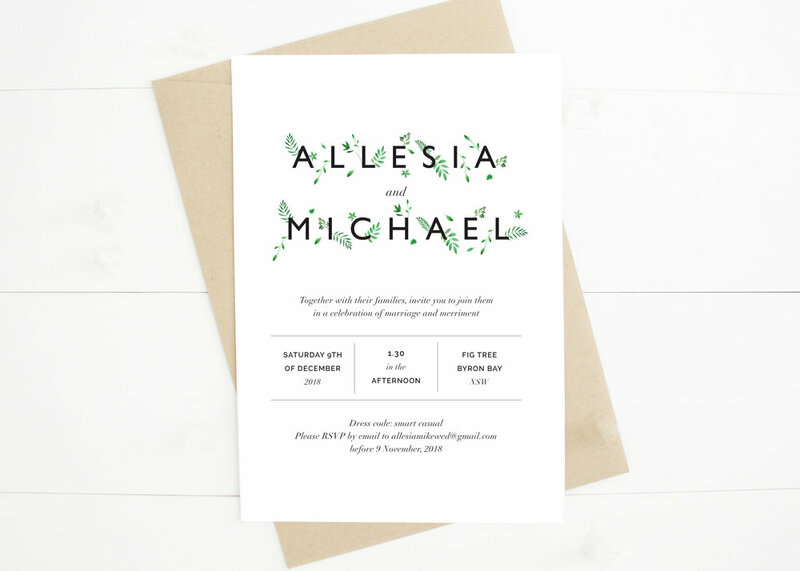 Browse our wedding invitation, save the date and stationery collection. We believe wedding stationery should reflect the look and feel of your whole wedding day. Our aim is to create something you love and make the stationery process as stress free, straight forward and enjoyable as possible. We offer two main packages: collection and custom. You can browse our collection and customise each design to suit the look and feel of your wedding day. We also offer on-the-day details such as seating charts, hand lettered blackboards, table numbers and more. If you have any questions or would like to make an enquiry, we'd love to hear from you!